With many online courses, tech courses in particular, audio quality is paramount. I’ve toyed with amateur music recording for years, but trying to record a three-hour course tested me to the limit. Turns out, defeating Alien mouth is a lot harder than in the movies. Okay, so I already had the legendary Blue Yeti USB condenser mic. 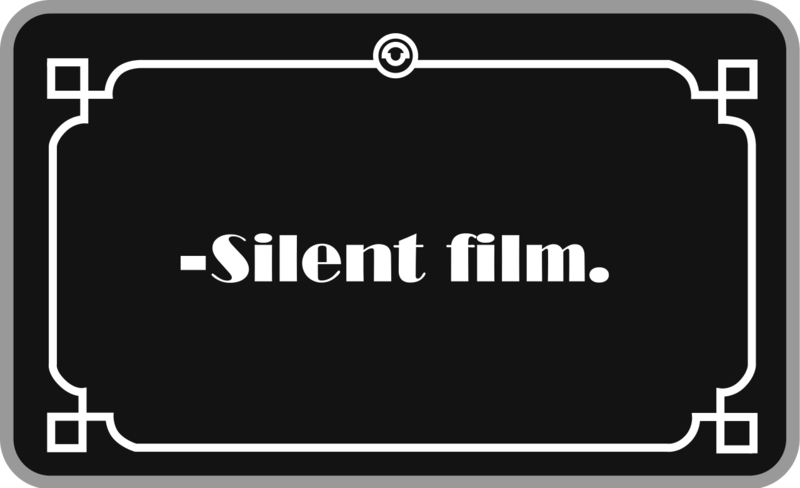 It’s so good, in fact, that it pics up all… the noise things, including the nasty spittle noises you make when you’re talking. In day-to-day conversation people don’t notice it much unless you’re really dry. That’s because you aren’t talking two inches from said people’s ears. Usually. If you’re like most people. Imagine adjusting your Bose headphones in anticipation of an immersive session of learning, only to listen in horror as the course is narrated by Super Gross Alien. Turns out, defeating Alien mouth is a lot harder than in the movies. There’s basically no way to edit it out, no EQ settings to attenuate the clicks and smacks of the marshy alien breeding pod. Basically, the only cure for alien mouth is to stay wildly hydrated, all the time. Avoid anything that might produce mucous, like milk. Keep some water nearby, and sip a little every paragraph or so. Eating an apple will help too, but only for a few minutes, and it has to be organic. Yes, eating an iPhone will probably kill you. In the end, it’s all about the hydration. Not only does that fancy compressor mic pick up your nasty mouth sounds, it picks up everything else too. Like, every time your laptop fan kicks on, the tic-toc of the wall clock, the steady hum of the ceiling fan, the deafening roar of the forced air unit, the periodic buzz of the fridge compressor, your family talking in the other room, the neighborhood dog barking, the squeaking and rasping of your office chair when you shift positions, cars and trucks passing on the street — You get the idea. How can I forget taking vacation days to work on my course, only to have heavy machinery loudly beeping and bleeping outside on the street. All day long, literally. It was… hilarious? If it generates vibrations, your mic will pick it up. For me, I discovered that the ideal time to record was before dawn — There was little to no street traffic, I could turn off the air conditioning without me or my laptop dying of heat, unplug the fridge, and stop the ceiling fan. Oh, and turn off all the other computers too. Yes, it’s a lot to remember — checklists are invaluable. I would have preferred to keep the computer on the other side of a soundproof wall, with only a cable for the camera, mic, and keyboard on the recording side. I didn’t have that luxury, so I tried to keep my laptop as quiet as possible. …you’re about to break out singing solo a capella. Musicians are used to tuning their instruments before a set, but curiously our voices adopt a wide range of tones as well, depending on where we are and who we’re with. You notice it when listening to someone’s course and the key and timbre of their voice changes suddenly — likely because they edited in a phrase post-production, or they stopped and started recording mid lecture. If the change is jarring enough, it can disrupt the flow of the learning experience. Ideally, you just record everything in one go. But for busy professionals, this isn’t always possible. Sometimes you just have to run off and put out some fires at your day job. If those are literal fires, you are awesome. When you get back to the studio, after enjoying a relaxing shower, listen to the last thing you recorded, ideally with headphones. Speak into the microphone and try to imitate your own voice. Now you’re tuned up, just like a concert violin! Or maybe a cello. Or a tuba. Another thing you might try is harmonizing with a pitch pipe before each recording session, just like you’re about to break out singing solo a capella. It’s pretty depressing when you’ve just recorded an entire lecture, only to realize you only recorded your screen. When you’re hot to trot, make sure that mic is too. For that matter, always do a sound check to make sure your mic’s directionality, level, and gain are set correctly. If your mic has a mute button like the Yeti does, make sure it’s not activated when you start recording. Once your recording quality is up to par, there’s still another issue to contend with: Can anyone understand the words you’re saying, and do your thoughts make any sense? English may be the “lingua franca” of our day, but not everyone speaks it — or understands it — natively. Listening to my recorded self I realized I had a mumbling problem. I even named the Windows user account “mumble” as an inside joke. Unfortunately the only thing that helps hop the mumbling hurdle is heaps of practice. Oh and voice warm-ups, especially if you’re recording first thing in the morning. Related to easily understood speech are easily understood ideas. At first I tended to overuse pronouns like “it” and “this” when demonstrating something on-screen. During early editing sessions I realized that “this here” wasn’t very descriptive or helpful. Instead it’s much better to use the name of whichever widget you’re discussing, or describe it or its context if it doesn’t have an official name. I’m editing my video, and I’m literally driving myself crazy. Like, I swear, if this guy starts another sentence with “so…”. Oh yeah, that’s me. The mic doesn’t lie. Recording yourself can be a real eye-opener, but only the right eye, like this: O_o. Sometimes you can edit out the word whisker, but oftentimes they run-on with the next word, so you can’t remove the word whisker without turning your sentence into an incomprehensible fragment. Word whiskers are tough habits to break, especially if you’re recording alone. In the moment, and with so much else on your mind, you just don’t notice yourself, um, doing it. It’s not until you’re editing that you want to go back in time and slap yourself. To defeat word whiskers, one thing you might consider is scripting your lectures, including introductory and transitional phrases. Then you’ll be able to tell if you’re overusing an introductory word like “now.” A scripted lecture is a risk because you can easily lose that extemporaneous feel, but it may be the safest if you too struggle with word whiskers. I already knew I wasn’t a “multitasker.” But if there were any lingering doubts, they were finally sent out to sea on an iceberg with a shot of vodka. It hit me while editing videos where I was trying to demonstrate some task or another — My speech would slow… way… down… And adopt a boring monotone. I was like, “Really, Bro?” I had to make a concerted effort to speak more crisply and energetically, and avoid talking and typing at the same time. In the end it was better to say the line first, then type in the command. I could then edit out the ensuing awkward pauses in post-production. That meant more work, but a better end result. There’s an exacting king in town, and his name is Content. Yes, Content is King. Long live King Content. People are ultimately paying for the content of your course and, unfortunately, it’s also the hardest part to get right. Once you know what you’re actually going to say, it’s not terribly hard to script the dialog, screen demo, and slide show — It’s time-consuming, yes, but not difficult. But what do you talk about? How broad do you go, and how deep? When do you introduce each topic so that it builds logically on the last one? Here’s a few lessons I learned — the hard way. Understatement of the day: Most fields are enormous. My course deals with migrating from WordPress to Hugo. That in itself is a massive subject — and made larger still because I’m bridging two large topics under the webdev umbrella, WordPress and Hugo. It’s not possible to create a video course 10,000 hours long, so which material would I cover? As a solo course creator, a comprehensive master-style course would take forever to produce. I had no idea how the course would be received. What if I spent a year producing a more comprehensive course, and only my wife bought the course? — For $10.99 on Udemy? Or two people: my wife, and a mysterious “Barb Marley,” whose IP address bore a striking resemblance to my wife’s? These guiding principles in mind, I examined the burgeoning course outline and narrowed the scope by selecting only the core topics that would give the student a solid grasp of the fundamentals. From this foundation I could build out additional content in response to market demand. The cheese never truly stands alone. No subject truly stands in isolation. Everything and everyone is ultimately related in some way or fashion. Try as we might, the cheese never truly stands alone. Here stands a hurdle for the course creator, because your target subject is coupled by threads large and small to many related but ultimately out-of-scope topics. If you don’t cover these topics at just the right level of detail, these “threads” become tripping hazards for your students. Don’t trip your students. For example, in my course I had to broach topics like Git and DNS, both prodigious topics in their own right. They were not the primary focus of the course, but I had to give a high level explanation so that the student wouldn’t feel frustrated and lost. What you want here is the big picture, and nothing but the big picture. Go too deep on a side tangent and you’ll confuse your listeners and muddy the course waters. Imagine: You’re a nervous sixteen, shifting to third, and your driving instructor is explaining the inner workings of the car’s camshaft and poppet valves. Right place, wrong time. Closely related to determining course scope is organizing course content. Sections and lectures should be organized so that they build logically on one another and the student’s knowledge continues to grow, like a pearl in an oyster. Good teaching calls for lectures and sections to flow naturally from one to the next, using bridging phrases. This is one of the reasons why it’s important to nail down course organization as early as possible, otherwise you risking ending a video with, “Next, we’ll look at configuring our Hugo theme.” but the next video discusses analyzing site performance with Google Lighthouse. Jarring. Not only is the order of topics important, but how much time do you dedicate to each topic? Which subjects are best covered by a single 5–8 minute lecture, and which ones require an entire section? Spend too long on a single subject and you’ll bore your audience and your course will come across as “fluff.” Go too quickly on a subject, and you’ll lose and frustrate your audience. What I do is attempt to bang out a huge and unstructured outline of everything I’d like to teach. From there I begin reorganizing the material into a loose section/lecture structure. Which topics will stand on their own, and which ones are really sub-points of another topic? It’s difficult. Don’t expect a polished course outline to emerge in one day. Hit it hard, then let the material percolate in your subconscious. Go for a run, sleep on it. Review the outline again and you’ll see new patterns of potential improvement. Let’s say teaching by text on a page is the 1st dimension. Mix in some recorded audio and you’ve reached the 2nd dimension. Blend in video, my friend, and you will have transcended the third and most difficult 3rd didactic dimension. If producing solid audio is hard, producing quality video is ridiculous. Fortunately, I’ve got an old leather bag of lessons learned. Let’s see here… Ah, yes! Here’s a few about video production. If you do any kind of talking head video work, you need an HD capable camera (1920x1080). I picked up a used Logitech HP Pro C920 camera for $20, but the video looked downright terrible at first. The focus and white-balance kept shifting all over the place, driving me nuts. The good news is that this is a really popular camera among YouTubers, who shared tips that helped me dial in the settings. Basically, you have to install the Logitech software, then go auto nothing, manual everything. Exposure: As high as possible without looking weird or dropping frames. Gain: Bump this up a bit if you couldn’t get the exposure as high as you wanted. White Balance: This will vary from day-to-day based on ambient lightning. To dial it in, use something white for reference, like a clean sheet of printer paper. The only annoying thing about the C920 is that the white-balance setting isn’t preserved between reboots. Seriously? Oh yeah, I only spent twenty bucks. In the end, I was happy with the video quality. For a lot of tech courses, however, the focus is usually on the screen. Any talking head video will generally appear in the course introduction, or maybe as a video overlay. Personally, I doubt people are that invested in seeing my head. A $2,000 camera could produce great video, but come with a learning curve to match the price, and I’m not convinced the 100x cost would result in 100x quality. Again, if you do talking head video, you’ll need consistently good lightning. To prepare for my course, I toyed with video production by creating a YouTube channel called “Spanish for the Inner Gringo.” I had a green screen for a cute talking-in-front-of-the-chalkboard effect, but I lacked decent lighting and I hadn’t dialed in the settings on my C920, so my chroma key effect looked pretty lousy. Beyond the camera settings, the biggest boost to my video quality was getting some cheap studio lighting. I say “cheap”, but at $40 this was still one of the biggest monetary expenses of course production. It was worth it though, as I could even record early morning and evening when the sun was taking a sky nap. These days a lot of people might watch your course on their phone on their way to work. Most of my course centered around my screen: the browser, the command line, and the editor. Besides setting the DPI to 175%, I had to remember to zoom in enough so that text and controls were clearly visible on a mobile device. This is easy to forget, so it’s a good candidate for your checklist. Time is your most important asset, and expect to spend a lot of it before you launch your course. As mentioned, I sunk over 200 hours into producing my course. But what about your cash budget? There is a load of professional-quality audio/video hardware and software solutions out there. You could easily spend thousands of dollars. I already had the mic and camera, so current costs were more like $137, and that expense was wrapped up in the two introductory videos (seen here, and here). How did I keep costs so low? Ideally, I would have recorded everything in a dedicated soundproof studio where every piece of equipment eagerly awaited my arrival, expertly tuned and ready to roll, exactly the way I left it at the close of the last session. But this was my first major course, and I had no idea how it would be received, so I purposely gave myself a tight operating budget. No studio for me — at least not yet. If I got into course creation full-time, a few thousand dollars would go a long way toward reducing production time and upping the quality ante. My self-imposed tight budgetary constraints meant using free video recording and editing software, and no extra equipment beyond a mic, a camera, and the umbrella lighting kit. I didn’t even have a $10 pop filter for the mic. Rather, I had to train my brain to defuse the explosive English “P” that our Mom’s armed us with, so long ago. These days it’s possible to produce rock-solid videos with open-source tools, namely OBS Studio, Shotcut, and Audacity. Use OBS Studio for the initial recording and screen capture, and Shotcut for post-production editing. Audacity is useful for one-off sound bytes and foley effects. Shotcut isn’t super stable. I experienced frequent crashes, usually relating to the Undo feature. In the beginning I would lose entire editing sessions to a crash because I’d forgotten to save. Shotcut taught me to work in small steps, save frequently, and create numerous backup files. While Shotcut’s speed and stability may not be legendary, its community-sourced documentation sure is. There are tons of free videos out there that teach the intricacies of video editing. OBS Studio worked flawlessly for me. The biggest initial hurdle was getting my recording and output settings dialed in. At first the resolution on my recording monitor wasn’t set to 1920x1080, so the resultant auto-scaled videos lacked crispness. When you already have a full schedule, finding time to work on your course will feel like squeezing the last bit of toothpaste from the tube. You’ll need to grab 30 minutes here, an hour there. To drop in and get productive as quickly as possible, you have to be supremely organized. When I first started working on my course, I had course materials scattered all over my file system: outlines, videos, slide decks. — “I know that VM is around here somewhere…” By the time I got started scripting, recording, or editing, I barely had any time left. It seems obvious in retrospect, but my solution was a single folder with all the course materials, or in some cases, links to the course materials. That really helped reduce the friction when I wanted to get started in the morning. Oftentimes as soon as I was “in the zone” I had to quit working on the course and go to work. It’s easy to lose your place, which makes for more wasted time during the next mini course creation session. I started taking good notes about where I left off, and where I wanted to be. Taking a page from GTD, I always tried to make it clear what the next actionable task on the course would be. We’re constantly receiving notifications for this, that, or the other. Emails, IMs, Windows 10 ads (hehe). Try creating a course and you’ll realize just how many alerts and notifications we’re bombarded with. It’s super annoying when you’re recording and you hear a notification bell, or you get a popup from your mail app. Did I say massive? I meant massive! 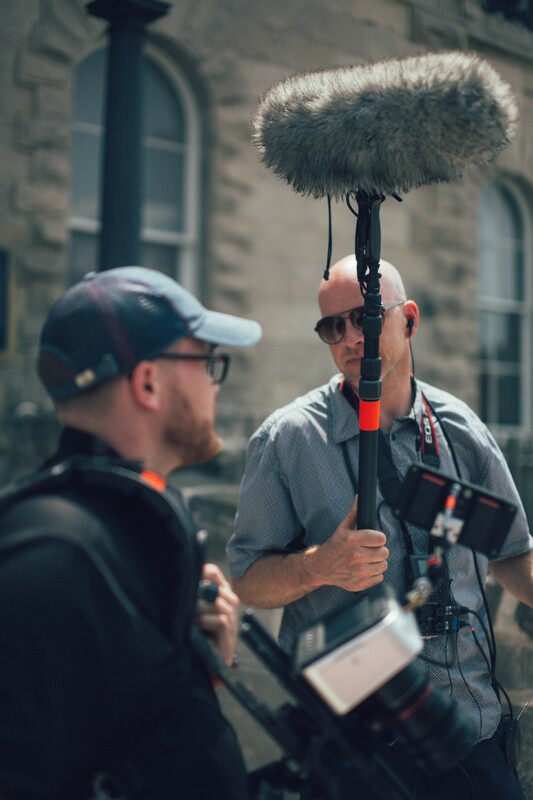 There’s a reason studios employ entire crews of specialists, right down to the “boom operator.” You’d be forgiven if you assumed the boom operator specialized in pyrotechnics. But alas, they just walk around holding the microphone in the right place. When you’re creating a course, there are so many details to remember — and so many of them are highly important. Like, is my mic in the right place? Is it even on? It’s honestly too much for one person, and time-consuming to keep track of. The solution? Checklists. Boom! Drop the mic. Check, check. At first I just assumed I would remember everything I had to do. That didn’t happen. “Oh wait, the fridge just kicked on!” “Oh wait, where’s my water? !” So I started adding everything to an ever-growing checklist, which I would read through before every recording session. Taking a minute to run through a checklist can seem like a waste of time, but you’ll waste a lot more if you have to re-record entire sections because of a seemingly minor faux pas. Be specific. Don’t say, “this here”; describe it. Narrate everything. They can see it, but how closely are they watching? Attribution for Creative Commons sounds and images? I think a lot of us wish our work could just stand on its own two feet. I retreat into my workshop and emerge 40 days later holding aloft a handcrafted masterpiece of such superb quality that the world beats a path to my door, guided only by their internal compass of artistry and aesthetics. But it doesn’t work that way. Often it’s not the “best” product that wins — it’s the one with the best marketing team. Take blogs, for example. Why do most blogs get little to no traffic? — The only way to discover most of them is through search engines. Unless people are actively looking for your content and know what to look for, how do they find you? An article you write could be life-changing for some guy out there, a guy named Rob, with horned-rimmed glasses and a gold eye tooth. But Rob doesn’t know he needs your article. He plays Candy Crush on the train to work. Medium solved the unknown-blog problem by essentially becoming a premium blog aggregator, poising itself as the distribution channel for bloggers. Medium handles getting your articles in front of the people most likely to be interested in your writing — people like Rob. It’s possible to self-publish your course, but you’ll need to grow your own distribution channel. If you’re famous, that’s no problem. Or maybe you have well-connected friends that would help get the word out about your course. Remember though: they will be expending “social capital” if they endorse your product. Is your course really something that aligns with their values, and is the quality point where it should be? Most of us are not famous, nor do we have any famous friends. We’ll have to rely on sites like Udemy to market our courses for us. And that often comes at a steep price: Udemy takes 50% of all sales on their site. Reddit marked my post as spam. I had no “karma” to speak of, and my post linked to a course, even though I was giving it away. Turns out I should’ve been more active on Reddit. Like actually posting and commenting, not just lurking. Shame on me. For the layperson, social media is our distribution channel. To be effective though, you’ve got to be active. If all you do is hawk your own wares, you’ll just irritate people. You’ve got to give more than you take, and that takes time, time you could be using to create more content for your course, or just experiencing life. Yes, this is a catch-22, and I don’t have a good solution for you. The marketing conundrum is a hurdle I have yet to vanquish with satisfaction. The ultimate lesson: Was it all worth it? A gentle evening breeze caressed my salty cheeks, my worn sneakers gobbled up pavement, and the hidden wheels turned. Yes, the idea for this course hit me one quiet, sunny evening during an easy run. I went home and pitched the idea to Pluralsight. As an Unknown, however, they gave me the ever-so-polite runaround. I needed “street cred.” That was five months ago. Today I’ve got a high-quality course on Udemy. At the end of the day, was it all worth it? Monetarily that remains to be seen, as I just launched the course. Much depends on the educational market: Is it ready for a course of this nature? Is there enough interest in moving from WordPress to Hugo? Is the subject too niche? The /r/gohugo subreddit has a mere 400 subscribers — /r/wordpress boasts 53.8k. Even if my course ends up a monumental financial failure, I don’t regret the effort. I created something, something difficult, but worthwhile, something I feel can help people. Plus, I’ve got a beat-up old leather satchel hanging on the wall behind me, and it’s full of life’s lessons learned. When inspiration strikes during another sweaty afternoon run in the golden sun, I’ll be ready. Originally published at www.tygertec.com on September 15, 2018.